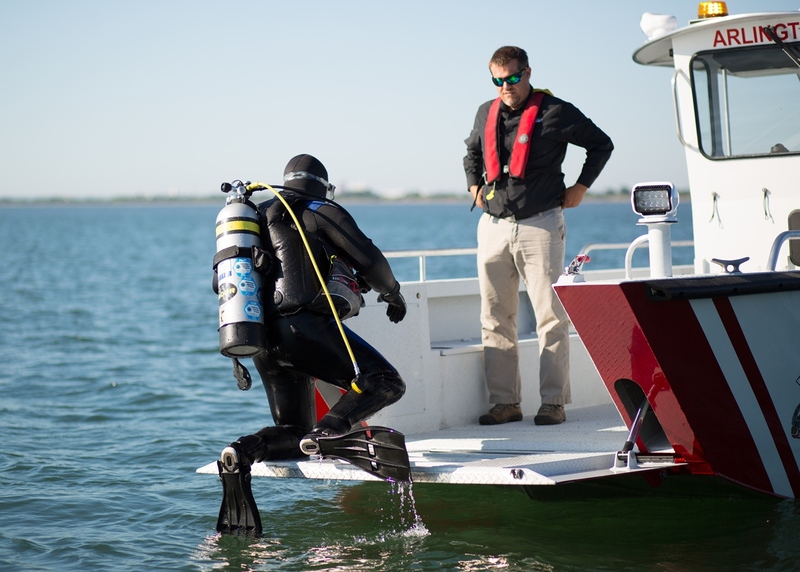 When most people think of Texas, their first image probably isn’t of lakes, reservoirs and water. 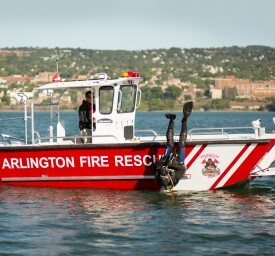 But in Arlington, TX, the Fire Department has a 30-member Dive Team that constantly responds to water-based emergencies, including stranded watercraft and individuals in distress. 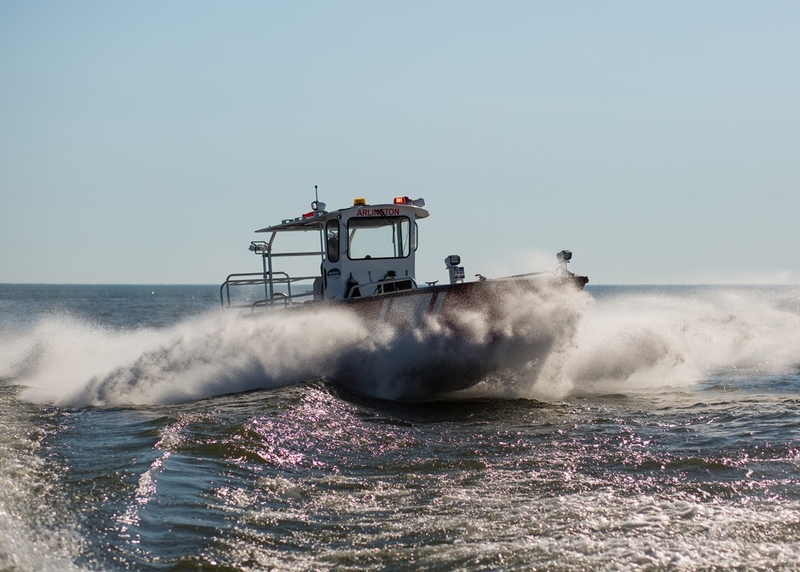 Water is very much part of this department’s patrol area and responsibility. 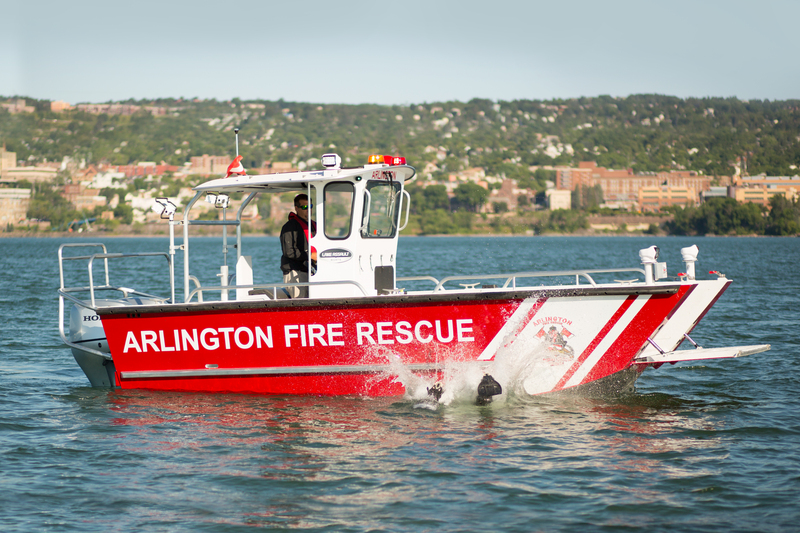 Arlington worked with Lake Assault Boats to manufacture exactly the dive and rescue boat that the department needed. 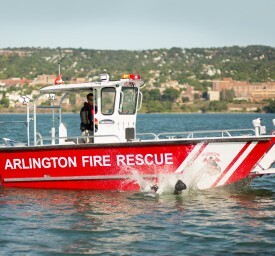 The 21-foot boat, built in landing-craft style, has a hydraulic bow door that enables divers to enter and exit the water easily and lift victims in rescue operations. 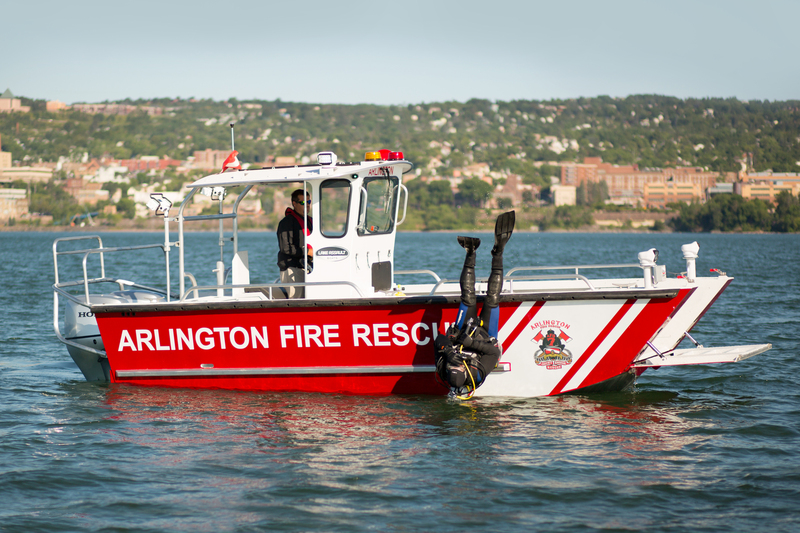 The twin 150-horsepower Honda outboard motors provide the duplication that the Dive Team demands in rescue situations. 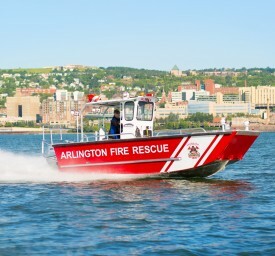 Lake Assault also designed the boat with two other custom elements. 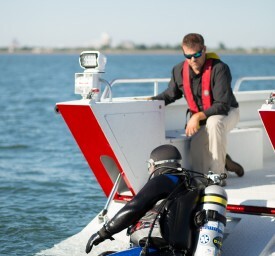 The boat is stored on a trailer inside a bay-door garage, so there was a limit to its length. 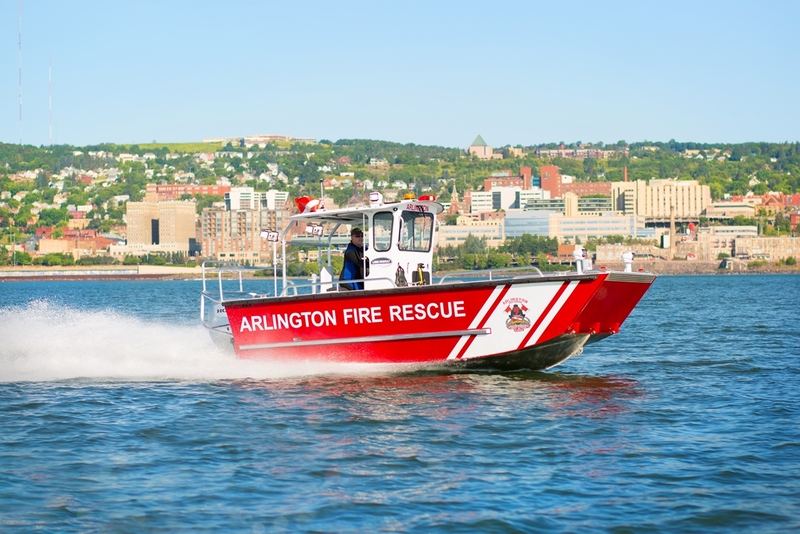 When Lake Assault delivered the boat, firefighters immediately tested it in its new home. It fit perfectly. 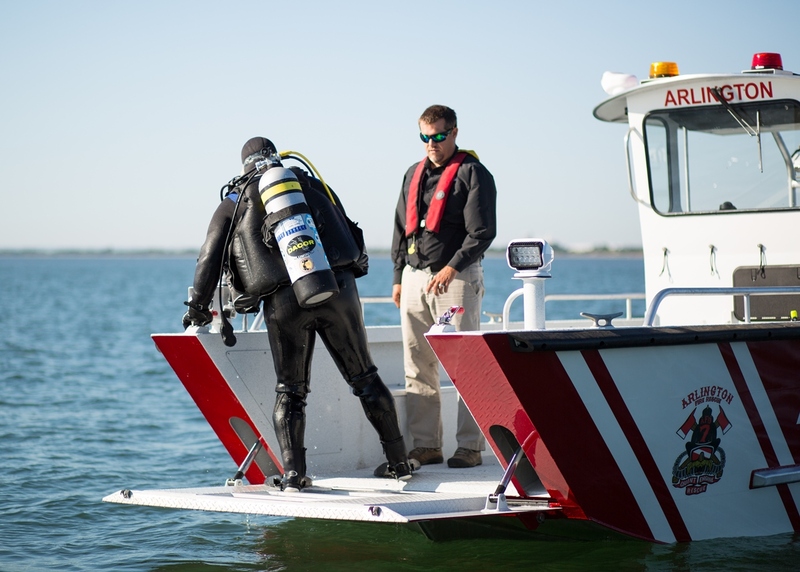 Lake Assault also designed a spot on the boat to place “the cage”–a metal device that looks just like its name implies and that helps divers in underwater work. 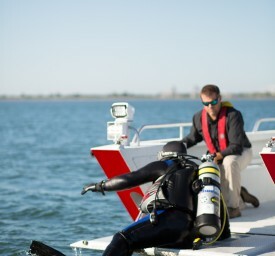 The Dive Team throws the cage overboard and tries to place it close to the dive object, identified with side-imaging sonar. 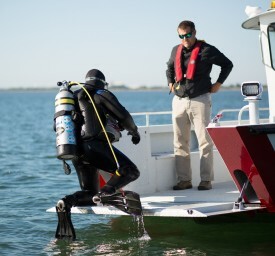 After several passes with the sonar, divers enter the water and follow a rope from the boat to the cage to recover the object. 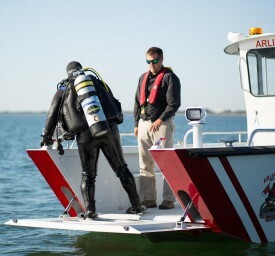 Divers use the cage because of poor underwater visibility in the Arlington area. 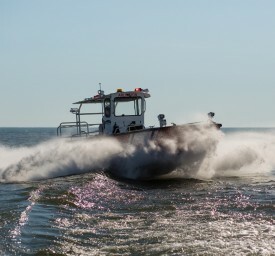 Lake Assault’s design and manufacture of the custom boat has left the department confident that it picked the right partner. 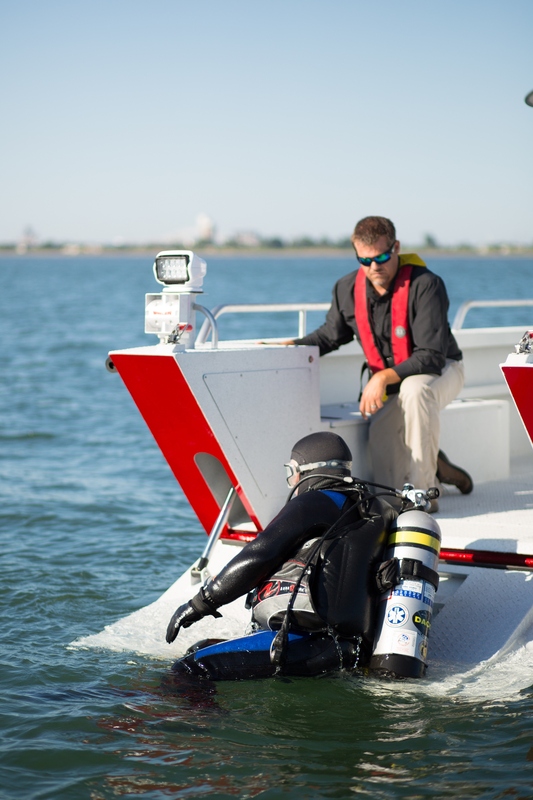 "We needed a boat that we could operate in easily and quickly, no matter what the conditions. 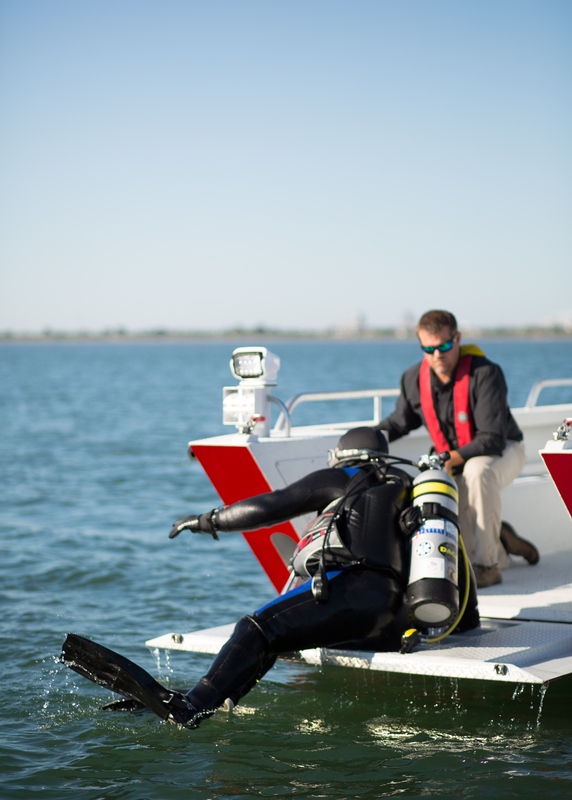 It's been great."